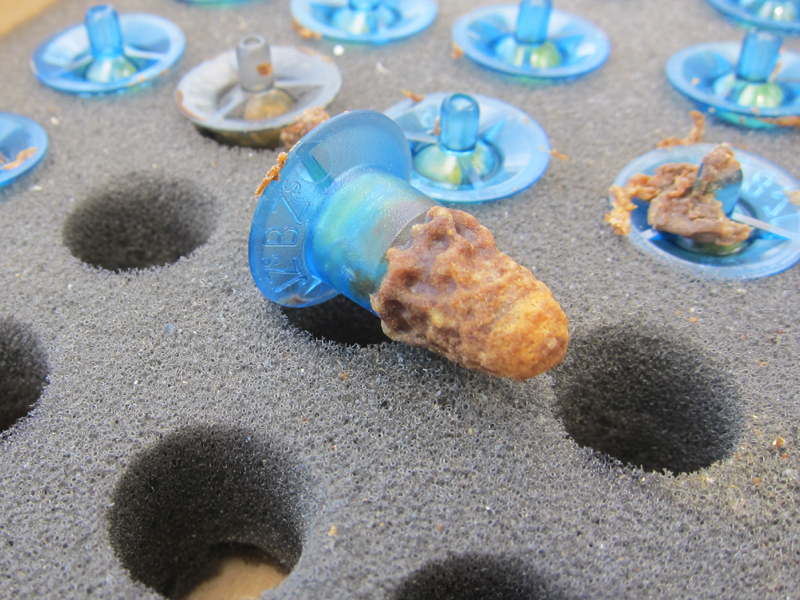 Here is a photo where a queen cell, which is just a day away from hatching, being installed into a queen mating nuc. 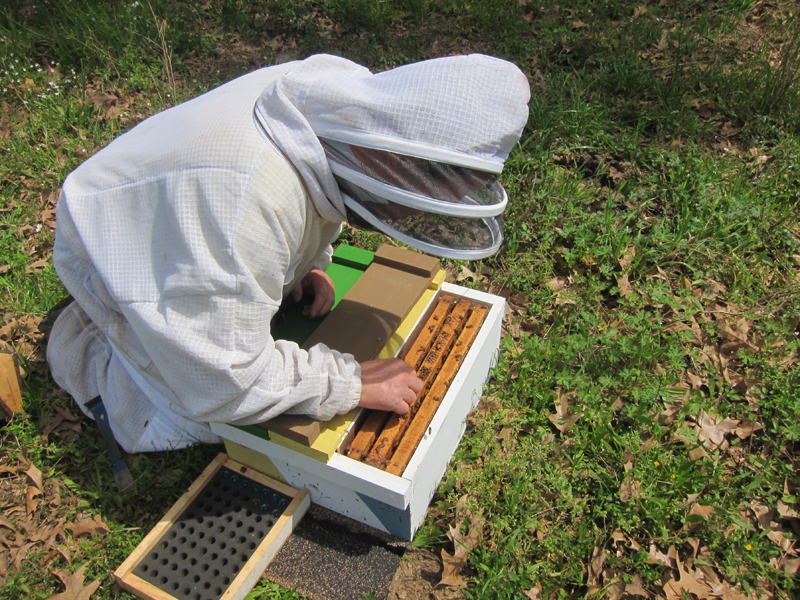 The mating nuc, which is basically a mini hive, is used for raising a new or mated queen. The virgin queen when she hatches will go for a mating flight six to ten days after hatching, and she will mate with 12 to 15 drones, or male bees. The queen will mate only once in her life, and will typically remain fertile for a number of years. The queen, once mated and laying eggs will be "picked" or removed from the nuc and held in a small wood and screen cage until she is needed to replace another queen that is old, or has failed. A queen can live three to five years, but she looses much of her productivity in laying eggs after one or two years. A young queen can lay up to 2,000 eggs per day during the spring build up of the colony! Beekeeping is rapidly growing in popularity as a hobby, which has spurred been on with the concern for the loss of honey bees and other wild pollinators.